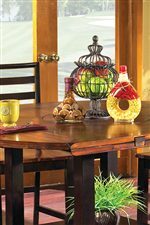 The stunning look of the solid acacia wood top, with its multi-grain patterns, contrasted by the dark brown apron and legs, makes this set a centerpiece for any dining room. The leg table features a self storing butterfly leaf for quick and easy changing of size. The chairs have scooped out solid seats and contoured backs for added comfort. 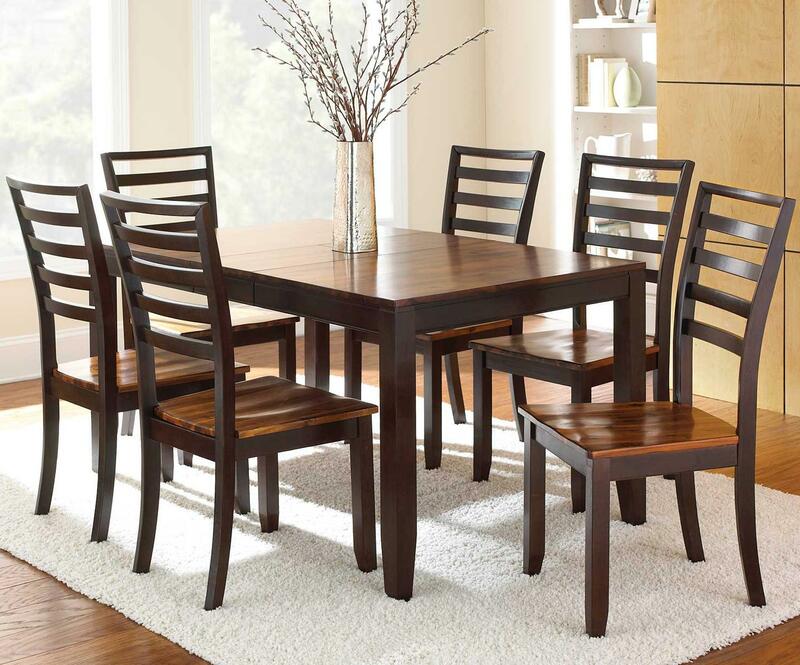 The Abaco 7-Piece Leg Table and Ladder Back Chairs by Star at EFO Furniture Outlet in the Dunmore, Scranton, Wilkes-Barre, NEPA, Bloomsburg, Pennsylvania area. Product availability may vary. Contact us for the most current availability on this product. 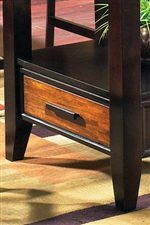 The Abaco collection is a great option if you are looking for Contemporary furniture in the Dunmore, Scranton, Wilkes-Barre, NEPA, Bloomsburg, Pennsylvania area. 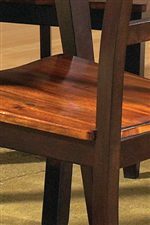 Browse other items in the Abaco collection from EFO Furniture Outlet in the Dunmore, Scranton, Wilkes-Barre, NEPA, Bloomsburg, Pennsylvania area.